HMRC has acknowledged, in response to a series of Freedom of Information (FOI) requests, that it has no detailed evidence to demonstrate that its Check Employment Status for Tax (CEST) tool is accurate. 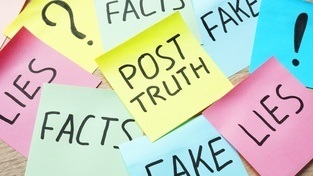 After the fallout from the BBC pay scandal had already demonstrated the strain that IR35 is having on the public sector, HMRC’s admission will raise further questions concerning future plans for the legislation. During the latest committee meeting, it was revealed that CEST had failed 97% of BBC broadcasters who had used the CEST tool, prompting Jolyon Maugham QC to dismiss HMRC’s effort at trying to achieve an “impossibly difficult” task. With more than 40,000 individuals currently using CEST to assess their IR35 status each month – as revealed in response to another FOI request from ContractorCalculator on 1 November 2017 – many will have been forced into false employment, and subject to excessive taxation, as a result. 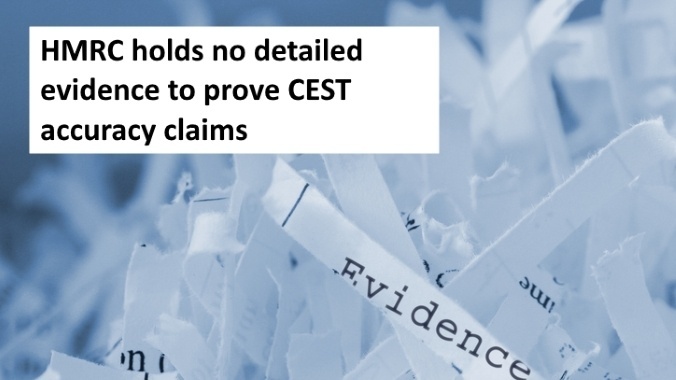 Following the release of CEST, HMRC has continued to champion its accuracy but has been unable to support its assertions with tangible evidence. Instead, it decided to attack the source after ContractorCalculator tested CEST against the historic IR35 cases in March 2017 and found that it was unable to return the correct outcome in 37% of cases. Since then, the taxman has stonewalled a series of requests from ContractorCalculator. On 28 November 2017, HMRC denied an FOI request to disclose documentation evidencing CEST’s processes and results when tested against each of the historic IR35 cases. 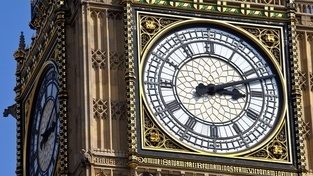 HMRC gave as its reason for declining, that it would take more than 3.5 hours to provide the data, supposedly exceeding the cost limit set out in the Freedom of Information Act (FOIA). ‘The CEST tool testing was done by workshop… The only documented output of the workshops is the set of rules used by the tool. CEST was built using an Agile Software Development approach, a central tenant of which is automated testing. 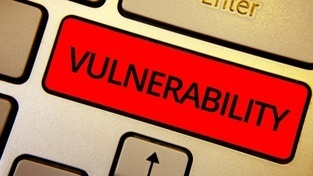 However, an examination of the code base available for inspection online, along with an analysis of HMRC’s responses to several FOI requests, suggests that no formally documented or automated acceptance tests even exist. 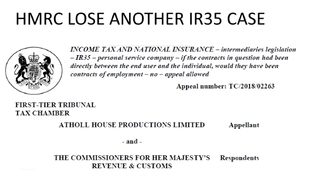 As a result, HMRC is unable to prove that CEST correctly calculates the results for the historic IR35 court cases, or any cases for that matter. “For a tool of such importance, the supposed lack of rigour involved in its testing methodology is astonishing,” comments ContractorCalculator CEO Dave Chaplin, whose career history includes commercial software development for leading UK financial institutions and legal practices. Antony Marcano, founder of RiverGlide – a consultancy that specialises in coaching agile software delivery - comments: “Testing the validity of this tool's answers with an undocumented ad-hoc approach via workshops is insufficient for Government-produced software of this magnitude. A more diligent approach would have been to drive the design of the solution using the court cases as the test scenarios. Chaplin adds: "When I led teams developing online banking software, if we’d gone into a room and emerged claiming that the software all appeared to work fine, without any documentation to prove it, we would have been fired. “We examined the CEST programming code last year and published the results online. Our findings proved that CEST is structurally flawed, and that HMRC would need to start from scratch to have any hope of achieving accuracy. 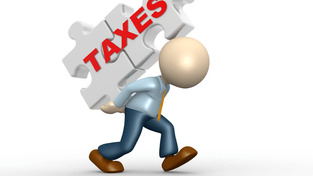 The taxman was also outed for omitting mutuality of obligation (MOO) – a key element of employment case law – from CEST. When pressed on the matter during a webinar delivered to NHS Trustees in September 2017, HMRC policy adviser Mark Frampton stated that CEST assumes MOO to be present in every public sector engagement. This logic was immediately renounced by barristers and IR35 legal experts. HMRC claimed it would disclose legal arguments substantiating this claim in January 2018, but nothing was forthcoming. The taxman denied a subsequent FOI request from ContractorCalculator on 23 February, claiming supporting evidence was “exempt from disclosure”. However, HMRC did state that it now intends to release its arguments in April. Last week the details of another IR35 tribunal case emerged, which ContractorCalculator used to conduct another test. Although the contractor was deemed outside IR35 in real life, CEST was unable to determine their status. The news comes after a House of Commons inquiry into BBC pay revealed the extent of the impact of IR35 on many broadcasters’ wellbeing. MPs heard how one presenter suffered “life-altering levels of stress”, whilst another attempted suicide due to her IR35 ordeal. At a recent committee meeting, presenter Paul Lewis disclosed that 97% of those within the BBC, who had used CEST, had been deemed caught by IR35, with broadcaster Kirsty Lang adding that the tool is “not fit for purpose”. HMRC leaving itself at risk of judicial review? The BBC isn’t the only organisation affected. 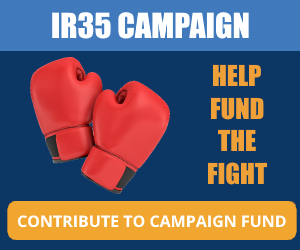 Uncertainty over IR35 is already heaping further strain on social care services and the NHS, where locums have been refused outside IR35 engagements as a result of flawed CEST assessments. 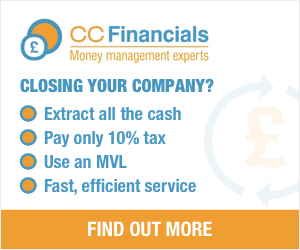 “HMRC has taken a slapdash approach to building CEST, and now needs to stand accountable for its action. This could mean an extremely high price to pay, given that CEST is effectively being used to overwrite the law,” says Chaplin. “This is akin to the police inventing a speed radar gun that records all drivers’ speed as 100mph, but then asking car owners to self-assess whether they should start paying speeding fines. 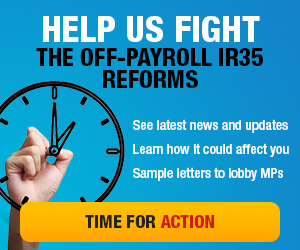 Andrew Chamberlain, Deputy Director of Policy and External Affairs for IPSE highlights the damaging effects the reforms and CEST have had on the public sector: “The public sector is beginning to crack under the strain of the IR35 changes made last April. Widely reported problems at the BBC and the NHS are likely to be just the tip of the iceberg. Seb Maley, Qdos Contractor CEO, agrees: “How are public sector bodies meant to stand by, and contractors expected to accept the some 400,000 answers it has given since April 2017? Is HMRC facilitating tax avoidance with its own IR35 CEST status tool?